Germans get swept off their feet when they hear the dialect spoken in Bavaria. Almost every fourth German has their heart skip a beat when listening to the softer-sounding variety of German, but they cringe when the Saxonian or Rhineland Palatinate dialect is within earshot. German dialects usually only play a minor role in German class because the standard German (Hochdeutsch) is taught. For many Germans, though, a dialect is the first language they grow up speaking, something that they live and breathe. The further south you go in Germany, the more likely you are to find colourful variations of the German you learn in German class. But there are also dialects spoken in the north of Germany. Germans communicate with other Germans from others parts of Germany in standard German. It’s your first choice in a business setting when speaking from the mind is important. But speaking from the heart means bubbling in your local dialect. 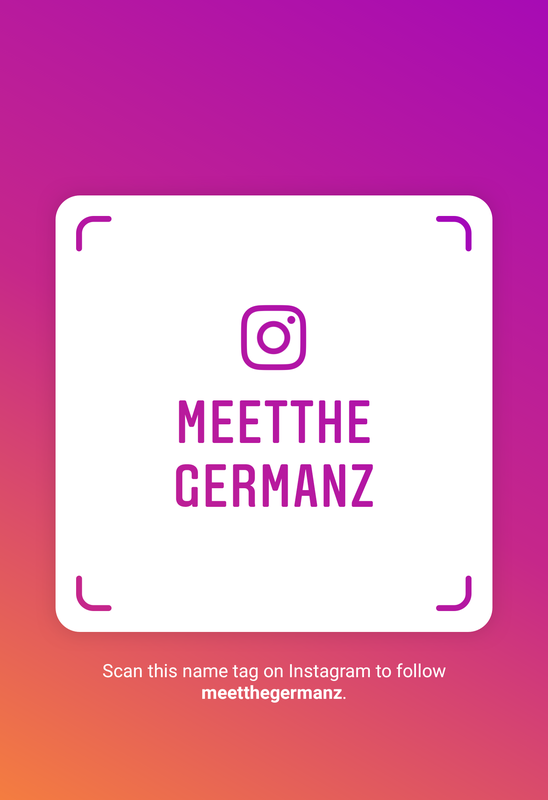 The dialect that is spoken in my home town is the Saarland dialect which is spoken in Saarland in the south west of Germany, and we’re going to take it as an example for the many ways to speak and pronounce German. The secrets of an example dialect (the Saarland dialect). 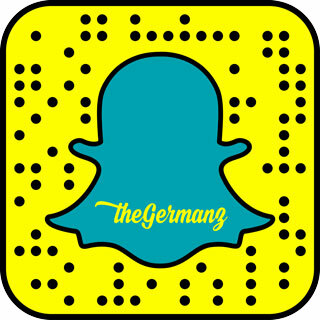 Get a glimpse of what you might expect when going to Germany (they all speak standard German too, I promise). Also don’t forget to take my dialect quiz here. Will you be able to tell where the speakers are from? Surely, Germans from one part of Germany will understand Germans from the other part of Germany, right? I’ll let you decide. Here are some German dialect example for you. Das kann ich nicht. Tut mir leid (Sind wir wieder gut). I can’t do it. I’m sorry. What does “the German language” even mean, if there are so many more elegant ways to articulate yourself when speaking German? There is no standard pronunciation in German. German managed to have a standardised written version of the so-called standard German, but the pronunciation (and use of words) widely differs depending on the region in Germany. Even the speakers on the news of northern channels sound slightly different to their southern comrades. Before 1871, in those turbulent times when Germany hadn’t been Germany but several loosely connected Germanic tribes killing each other in hazardous bloodbaths, the uniting link between them was a more or less similar language, High German dialects, out of which standard German has evolved. Otto von Bismarck might have pushed on the unification of Germany towards the end of the 1800s, but many local customs, German accents, and dialects have survived until now and are still being cultivated. German dialects are more than just German slang, they are living history. 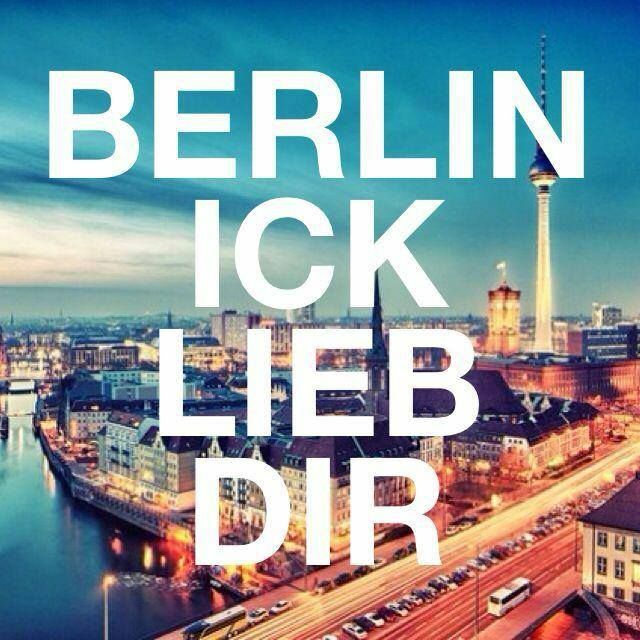 Linguists believe that there are still about 250 distinctive German dialects. Speaking a dialect is believed to make you smarter, with all the benefits of speaking a foreign language. But you can easily find yourself in those silly but hilarious situations where the vocabulary of standard German and the local dialect just don’t match. 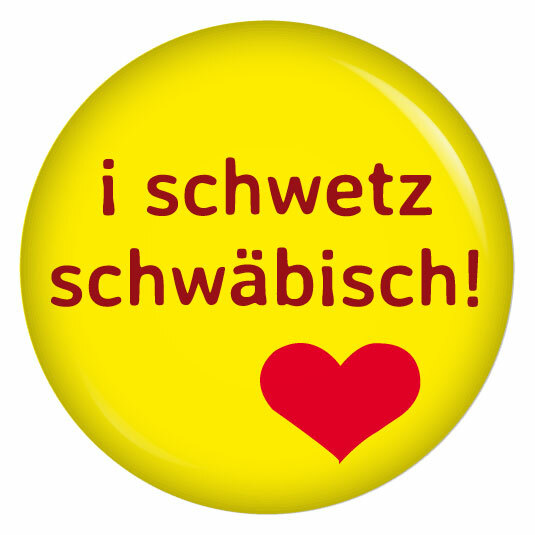 Meaning ‘Ich spreche Schwäbisch’ (I speak Swabian dialect) in Swabian dialect. Super confused but being a good a friend I did what I was told and started to lift them up, and up and up again. Maybe she meant for me to find whether it was heavy or something? Little did I know that in her dialect to lift actually doesn’t mean to lift but to HOLD! I don’t think I’d ever seen my friend laugh so hard until then (with me, of course) while I was staring at her in disbelief. A day before my friend’s wedding reception in Mannheim, we inspected the room they had hired for the big night. While decorating it, I was in charge of setting up the candles, but I voiced my concerns about the size of the candles that seemed way too small to last the entire night. (That’s right; we need different ones, they won’t LIFT long). Not knowing the local dialect, I was pretty inclined to start my lifting game again, but a flash of genius simply made me get some bigger candles that would LAST a little longer. 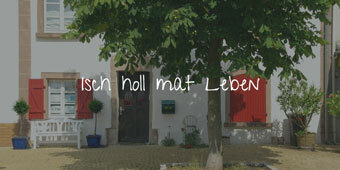 Funny enough, the German word for ‘to last’ actually translates to ‘to hold longer’ (länger halten) in standard German. Heben (to lift) and halten (to hold) seem to be tricky ones for Germans depending on where you’re from. In my dialect we use some hilarious and confusing words and structures too (you’ll find them further down). I must admit, it’s still not easy for me to suppress them when speaking standard German. Meaning ‘Feierabend, hinein in die Hausschuhe’ in Palatine dialect. It translates to ‘Done with work, (let’s slip) into the slippers. 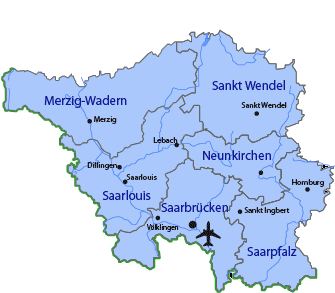 The dialect I grew up speaking is the one spoken in Saarland, the smallest state in Germany in the southwest close to France and Luxembourg. I’m able to burst out some funny-sounding sentences in that dialect called Saarländisch but that’s about it. How it actually works, I have no idea. The local dialect might be the first language you speak, even before standard German, but it’s neither taught in school nor would you seriously write in it. Where it does come up is in comedy. Once you switch on the TV or the radio, you get a glimpse of what standard German sounds like. You read books written in standard German, you know how to write in standard German, while you’re still thinking in your own dialect. That might be the reason Germans sometimes find it hard to switch to speaking standard German when they only ever get to speak their local dialect. It can make you feel a little silly like you’re being snooty, arrogant, and snobby. Like you’re backstabbing your friends (and culture). On the other hand, not switching to standard German when it’s appropriate has the potential to irritate others. Speaking German doesn’t only embarrass language learners; it’s the same for Germans sometimes. All this talk about dialects, how about we have a look at the dialect I grew up speaking? In Saarland we speak in a distinctive accent and use a lot of words that you only find in Saarland (and France and Luxembourg). Did you understand everything? Nope? You’re probably not alone. Every German dialect is tied to a certain region. 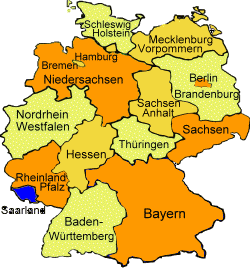 The region I grew up in is called Saarland. Didn’t understand anything? It’s because they are singing in Saarländisch! Beautiful, isn’t it? 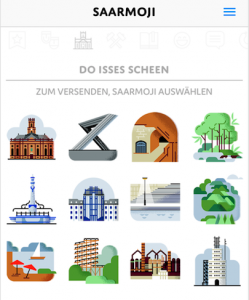 Not only do we have little cartoon characters from back then, but the Saarland region now also has their on emojis, the Saarmojis. 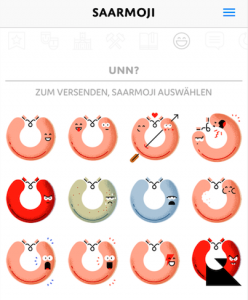 It’s now super easy to express yourself in Saarländisch even without knowing any Saarländisch at all! Surprisingly, the compliments don’t come from foreigners but from other Germans because they seem to think that people living in Saarland must not be from Germany. But Saarland is indeed part of Germany. And it has been since 1957, this time continuously. Before rejoining Germany, the Saar region was ping-ponged back and forth between Germany and France during and in between the two World Wars, and was also independent right after WWII. But the people, Saarländers, have always had strong ties to the other Germanic tribes and remained German-speaking, no matter whether Germany or France happened to administer the region. Even though we’re part of Germany, we Saarländers would totally agree that we’re the most French of all Germans. There are numerous ways to make your way into Saarland and one of my favourites is taking the train. Even if you happen to be on an ICE, Germany’s fasted train, the closer you get to Saarland, the slower the trains will get. It certainly indicates how life is lived in Saarland. It’s not that time has stopped but it certainly goes by slower than you’d expect it coming from a bigger city. After all, Saarland is located in the outskirts of Germany in the German countryside. It’s a retreat from a hectic city life. Apart from a de-stressed nature, Saarländers tend to gravitate less to sticking to rules compared to Germans from other parts of Germany. Völklinger Hütte (Völklingen Ironworks) in Völklingen, Saarland, UNESCO world heritage site. 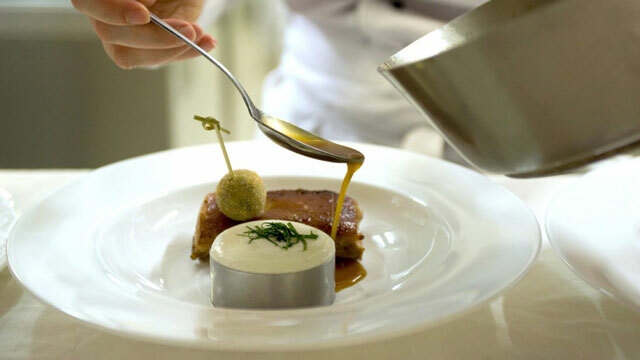 As you might expect in the countryside, you’ll come across many amateur chefs as well, called der Schwenker. 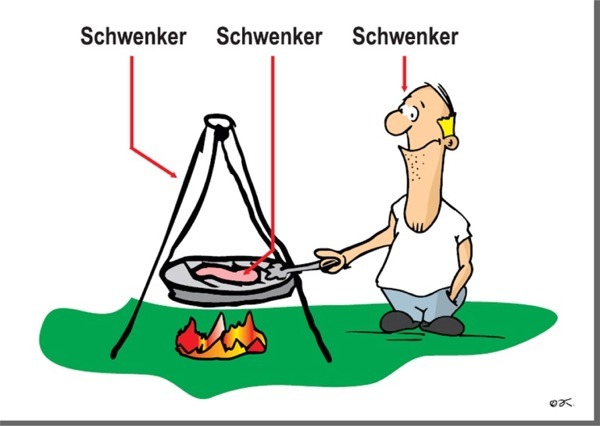 The word der Schwenker is not only used for the meat that is sizzling on the BBQ but also the BBQ itself. And now guess what the activity is called? As a hint read this word backwards: neknewhcs. 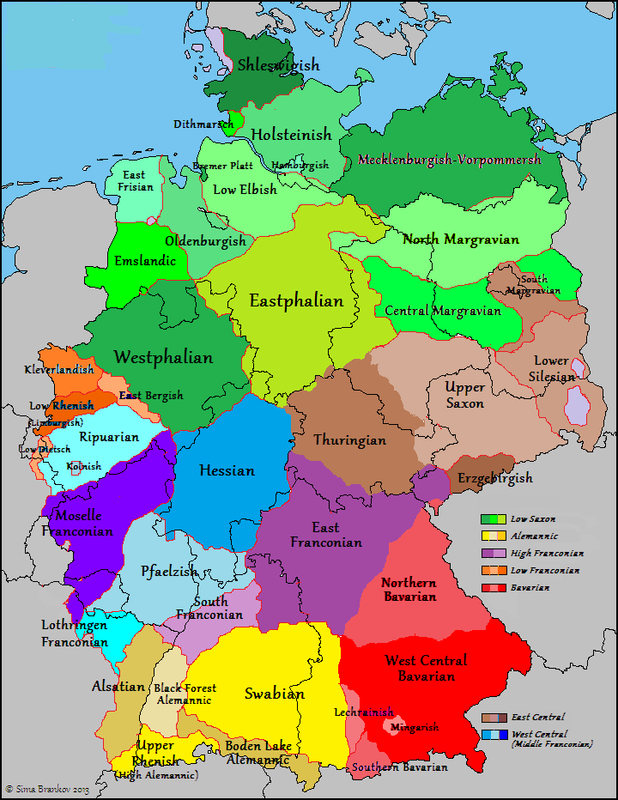 Speaking of language, there are two dialects in Saarland, the Moselle Franconian dialect in the northwest and the Rhine Franconian dialect in the south east. 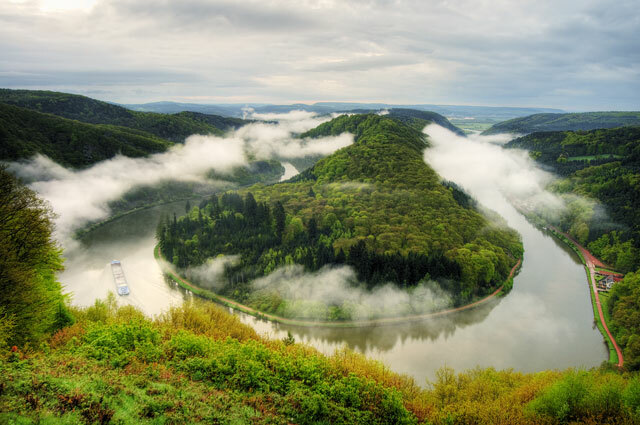 The two separate dialects in Saarland are not caused by the river Saar that meanders through the West part of this beautiful piece of land but are dictated by the different pronunciation of the word das (the). Saarländers, the people, refer to the linguistic division as the Das-Dat-Grenze (das-dat-isogloss). The southern part pronounces the word similar to the standardised standard German das, while northern Saarland prefers to say dat. The French administration of the region has left positive marks on the Saarland dialect with several French words and structures turned into a hilarious Saarland version. Tell everyone that they HAVE cold (Isch hann kalt) instead of they ARE cold (Mir ist kalt), similar to the French construction J’ai froid. The French language has had a less great impact on the German spoken in the region than it has had the other way. Parts of the French dialect up until about 30 kilometers into France is easily understandable by Saarländers and almost sounds like a copy of the Saarland dialect. Ich hole mir das Leben in standard German (I’m going to commit suicide). Holen (to go get something), here we go again! For the words we add to the German language, we got rid of one special verb: nehmen (to take). The Saarland dialect, no matter if Rhine or Moselle Franconian, simply uses holen (to get/fetch) exclusively instead, which can cause some confusion among non-Saarländers. 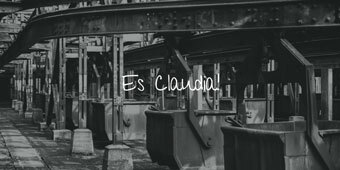 Es (Et) Claudia lo hinnen. Ich mache die Tür auf in Saarland dialect (I’m opening the door). Similar to other parts of Germany, the genitive case is almost non-existent and every now and again we get rid of the accusative as well (it’s paradise, I know!). Ich mache die Tür des Autos auf. Das habe ich dir doch gesagt. Isch mach de Dür vom Audo uff. Das (Dat) hann isch da doch gesaaht. Unn? – What’s up? / How are you? Please also don’t forget to take my dialect quiz here. Will you be able to tell where the speakers are from? Are you able to tell the differences between standard German and a German dialect? Do you even have a favourite one? Let me know in the comments. When talking about German the language (in English) it is disappointing that you have not included other German speaking countries, like Austria. I agree, the Austrian dialects are missing but I left them out on purpose because I was going to write a separate post about them (and the Swiss German ones). Thanks for pointing it out, I should have mentioned it in the post! Will update it once the Austrian one is ready. Thank you for your comment! That’s awesome! So true, dialects really mean something! Glad you like the article. Danke für deinen Kommentar. Pfiati! I’m from Bad Kreuznach and I can understand most of what was said. We’re neighbors anyway! I can’t understand the Bavarian dialect though. My mom and I often said we could be sitting next to Germans from another region and they wouldn’t understand a word we said!!!! I didn’t know that! Thank you for telling us, it’s really interesting how the borders changed even within Germany 😀 Danke schön! Really fascinating. I speak Afrikaans and I find the cognate words, pronunciation and sentence structure in some German dialects to be familiar to the kind of language my community uses! But if you ask me if I do speak German I’d have to say no, and “hochdeutsch” is rather hard for me to understand. Perhaps it’s because there’s considerable german ancestry in my community ( from centuries ago), and there is something like a small amount of code-switching ( if one can call it that) between regional Afrikaans communities. That is indeed fascinating! I’ve noticed the same, Africaans and German seem very similar, it’s definitely on my list of languages I want to learn one day. Interesting that you find Hochdeutsch rather hard, but then given that Hochdeutsch is the ‘newer German’ not too surprising. Thank you for you commment, I really enjoyed reading it. Danke schön! I am also a South African (assuming Sonkind is also and not Namibian/Zimbabwean etc.). The dialectal similarities referred to is probably the “heben” being used as 1) to hold/2) to last as in “1) hou dit vas/2) dit hou nogals lank” etc. I believe this is more the french/dutch/flemish influence from the surrounding areas rather than a German concept; however, I might be mistaken. Afrikaans is a very simply language. It is basically German, except for the omission of 1) conjugation, 2) genders, 3.1) simple past, 3.2) past perfect and 3.3) future perfect tenses. We only use 3 tenses: present, present perfect and past (simple past is rarely used by old timers, but that is more Dutch eg. “het … gehad = had” etc.). Thank you Pieter for your comment. It really sounds like learning Afrikaans must be like paradise, no conjugation, genders and ony three tenses! 🙂 Thank you for pointing out the similarities, really interesting! I found it extremely interesting your article! Thank you for it! I had to drop speaking German at one point. I usually treat with a lot of German tourists and at the beggining I was willing to speak them in their language so they would understand everything much better (a lot of them dont have a very good English). But unfortunately every time I was standing there with a stupid face because I could not understand a word of what they were asking. That´s not what I was studying for 4 years in a Language School! Not a word! And all of the phrases were standard things that we answer every day a hundred of times. It´s so frustrating for us, a non-native speakers! And other of my collegues suffers from the same thing. So, I just stopped talking (and begun loosing) German and – English is on now, folks. awesome article. My families in Saarbrucken. My mom went to school in Bad Kreuznach. Rest of the clan is spread out in Saarland & the pfalz. Thanks for the fun writing! Nice! Glad you liked the article Polly! I was born in Tuebingen, but grew up in Heilbronn and Mannheim, all in Baden Wuerttemberg. As a young boy I spoke entirely in the Swabian (Schwaebisch) dialect. then my family relocated to Arolsen, in the state of Hessen, after which I attended the Merchant Marine School in Hamburg-Blankenese. I quickly realized and learned that in order to be understood, I needed to use and speak Standard German or “Schriftdeutsch.” Hence, I had lots of exposure to different German dialects, and few difficulties comprehending what was being said or meant. – Now, speaking “Platt Deutsch”, that is a totally different story! – Lol….. Thanks for your article and providing this German linguistic insight. Hallo Menko, Glad you like the article. It must have been a shock after moving to the north and being confronted with a totally different way of speaking! Glad you adapted well, extraordinary that you have no trouble understanding any of them, that’s awesome! Thank you so much for your story, loved reading it. We have a lot of dialects in the United Kingdom, too, but in general they are usually quite intelligible to the majority of English speakers. The only English I have found almost impossible to understand is the English spoken by some Jamaicans. I studied German for six years in grammar school and I still speak Hochdeutsch fluently, but I find Swiss and Austrian dialects very hard to understand. The German language has had a considerable influence on the development of Swedish (I lived in Sweden for 29 years) and my Swedish partner can read German quite well as many Swedish words are close to their German equivalents, for example, begränsa to limit based on begrenzen in German. Germans living in Sweden usually manage to pick up Swedish quite quickly. German was the main foreign language studied in Swedish schools up until 1945, when it was replaced by English and it is now studied by very few people. Love this article! I studied abroad in Saarbrücken (and learned my German from a Southern German in high school), so this made me feel right at home. 🙂 My students are always surprised by how different German dialects can be and sometimes I slip in Saarländisch without even realizing it. It’s been killer to say “ich” in Hochdeutsch instead of trying to at least make it sound a little more southern lol. I lived in Luxembourg for a while, without knowing a single word of German or Luxembourgish. Would you say Luxembourgish is the same language you speak or something different? Do you have trouble communicating with Luxembourgers? Nice! I love Luxembourg. Luxembourgers usually speak perfect German, so communicating is not an issue at all. They speak in a beautiful accent, the intonation is almost French even though they are speaking German. I love listening to Juncker in European Parlament or the Commission because it makes me feel at home. Luxembourgish itself is very similar to the German dialect spoken on the German side of that border region, close to Perl and Orscholz just to trough in some town names, so I would say that Germans from this region (and further north) will probably understand Luxembourgish but the further you move away from the border, the more likely people will assume it to be a different language. My mum was born in a tiny town right next to the Luxembourg border and she has always been able to understand Luxembourgers but has also ended up taking classes in Luxembourgish to be able to join in properly. Thank you for sharing your article. As a fellow Saarländer, I understand all points made. I have lived in the USA for 40 years, and speak English every day to communicate with friends, neighbors and in official business, and speak “Ginglish” a German-English mix where English words are substituted in order to shorten the sentence, at home. My husband is from the Rheinpfalz, and also speaks his dialect at home. When visiting family and friends in Germany, I usually fall right into my dialect and no one will comment on any accent and compliments us about how well we still speak German, after 40 years away. When I try to speak Hochdeutsch outside of the Saarland, Pfalz and Franken, then people tell me that they hear an American German spoken and compliment my German language skills, haha. Guess I have an American accent trying to speak my other foreign language of Hochdeutsch. Alla dann, bis zum nägstemol. Does anyone know what German dialects in other countries isolated from standard German would sound like? I’ve discovered a strange German dialect formerly spoken in the Texas Hill Country, now only spoken by a few elderly people. And then there’s Pennsylvania Dutch, which isn’t Dutch at all but German. I read that the Amish have Swiss German origins, so I’m guessing Pennsylvania Dutch would sound like very archaic Swiss German. I’ve never heard it myself but I’ve read about it. Would be insteresting to know how it sounds, must be like a blast from the past 😀 I’m going to google search that… Thank you for your comment! I’m a German living in the State of Georgia. I don’t know anything about Texas German, but a little about Pennsylvania Dutch. Most Old Order Amish speak Pennsylvania Dutch, and refer to non-Amish people as “English”, regardless of ethnicity. Some Amish who migrated to the United States in the 1850s speak a form of Bernese German or a Low Alemannic Alsatian dialect. According to one scholar, “today, almost all Amish are functionally bilingual in Pennsylvania Dutch and English; however, domains of usage are sharply separated. Pennsylvania Dutch dominates in most in-group settings, such as the dinner table and preaching in church services. In contrast, English is used for most reading and writing. English is also the medium of instruction in schools and is used in business transactions and often, out of politeness, in situations involving interactions with non-Amish. Finally, the Amish read prayers and sing in Standard German (which, in Pennsylvania Dutch, is called Hochdeitsch at church services. The distinctive use of three different languages serves as a powerful conveyor of Amish identity. The Amish largely share a German or Swiss-German ancestry. Source: Wikipedia. I’m from Lower Saxony and I speak not only Hochdeutsch I also speak and understand other German Dialects. You didn’t wrote anything about Plattdeutsch? English English, german, dutch, frisian are all west germanic languages. Even swedish, icelandic, faroese are also germanic languages, specifically north germanic languages. Geographically, you can see that england is very close to friesland, a province in netherland. Linguistically, old english and old frisian are mutually intelligible. Hallo Elke, Thank you for the interesting insight, it all make sense! I don’t know too much about Plattdeutsch to be honest, apart from what I wrote in the article, that Plattdeutsch is spoken less and less and not as easy to find than the dialects from the south of Germany. Will have to talk to my friends from up north to attempt write something about Plattdeutsch. Vielen Dank für deinen Kommentar. I am from Westfahlen and grew up with my grandparents who spoke Platt Deutch and Hochdeutch. When they talked about something not meant for my ears they would switch to Platt. Little did they know , it did not take me long to pick it up. At one point I could also speak it, but 50 years in Canada made me forget it. I sometimes wonder if I could still understand it. Pennslyvania Dutch would most likely be a derivative of Swiss German seeing that Jakob Amman, the founder of the Old Order Amish was from there. Outsiders most likely pronounced Deutsch as Dutch. Therefore the dialect of the Pennsylvania Amish came to be known as Pennslyvania “Dutch” Interesting how words foreign to English get Anglicized. Ah yea that would make sense. It’s really interesting how words and names can change used in different contexts. Thank you for your comment, danke schön! Hello! I loved your article! Well, I’m german -very german, to be exactly. I’ve lived in Austria (Vienna) the first years of my life. That’s probably why I can understand Austrian better than everyone in my class. But we moved away before I could develop a dialect, so I got no Austrian dialect (sadly :’D). After that we moved to Germany, Thuringia at first (also too short to develop much), then Hesse, and now I live in Hesse. I find myself speaking a mixture of high german, Hessian and a little bit Thuringian. It’s not that much of a difference, but I even found a little bit of Austrian! Like, the northern part of Germany likes to say “Mücke” or “Möhre”, but in southern Germany and Austria we say “Schnarke” or “Karotte”. A thing I realized for hessian was my usage of “Hä?” and “Äh-äh”. They are common almost everywhere in german, but I’ve learned them in Hesse. And a little thing for my Thuringian is that it’s a 50% to 50% percentage (Hessian to Thuringian) of my pronunciation for the end of words. In Hessian you literally swallow every possible syllable or letter, but in Thuringian you pronounce them fully. 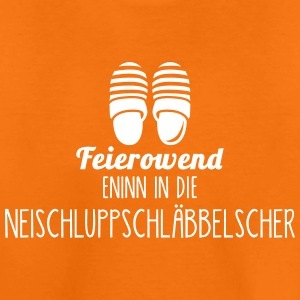 Like, in Hessian, “Einen” becomes “n”, but in Thuringian it stays the way it is. I really liked your little excursion to Saarland! Wow! Your article was very informative. I got so much to learn and know things I never knew before. All I speak is Hochdeutsch, but it was very interesting to know the differences in different dialects. Glad you find it interesting. Thank you for your comment and keep up the good work with learning German! Bis bald! Klein aber Fein!! The Saarland will always have a special place in my heart. I’m a non-native speaker but spent almost four years living in a tiny town (Türkismühle) in the Saarland. Had only spoken/learned Hochdeutsch to that point… the first time someone greeted me with “Moyer!” I was hooked. 🙂 Formed lifelong friendships and a lifelong love for the dialect and food of the region. Saugeil, vielen dank! Hallo Alicia, that sounds amazing! 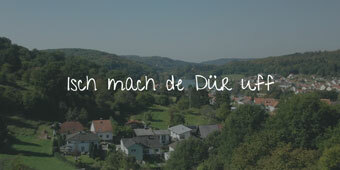 Yupp, lifelong friendships sound like Saarland. Also dlad you became such a fan of my homeland 😀 Danke schön. Nice informative post. I’ve been living in Germany for more than four years now and in two different states: Saxony and Hessen and still have troubles with accents. I’ve never been to Saarland and barely understood the examples you included of the dialect. I find it amazing that Germans themselves have trouble understanding each other and some would even go so far as quipping that Bavarians didn’t speak German . But I suppose this is true of every country given that dialects outdate modern borders. Still, it makes living in this country quite an adventure. haha, I can imagine it might be a bit of a challenge for you if even the natives can’t understand each other but it also means that your language skills are not to blame! 😀 So happy you like the post (and the German language). Bis bald! Wow! Thats a quite impressive guide through German dialects. You cant imagine how much I can relate to this. 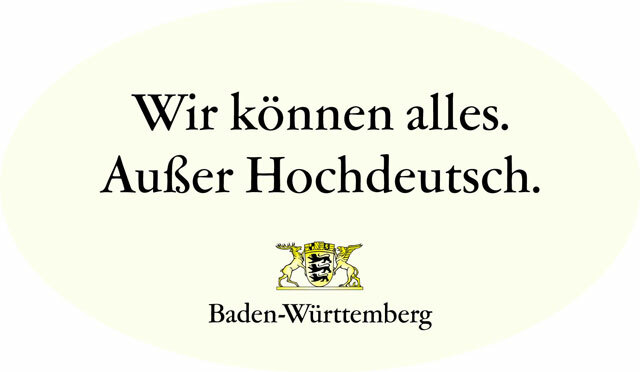 Living in Baden (a part from the Bundesland Baden-Würtemberg) all I can understand is Badisch and Hochdeutsch. It would be enough to travel 50 km northwards and I couldn’t understand a word of schwäbisch. 50 km eastwards i’d have to understand Bayrisch which is even worse and 50 km southwards I’d have to understand swiss-german whih is the living hell(impossible to understand). Glad you like the article. Ha, I feel your pain 😀 Glad you understand Badisch though, you’ve got one up on me lol Thank you for your comment! Ich fürs Leben gern Famili Becker. Obschon ich nicht Saarländisch spreche, verschehe ich diese eigenartigen Geschichten gut! Zuerst muss man ein wenig mit dem Hirn turnen, aber dann ist es ganz lustig. Auch Druckfehler kann ich auf Hochdeutsch oder Schriftdeutsch machen! Ja, das kann man in jeder Sprache machen 😀 Vielleicht gibt es irgendwann einmal auch eine Autokorrektur für Dialekte. Das wäre toll! haha, ‘mit dem Hirn turnen’ beschreibt das alles sehr gut! Freut mich, dass du die saarländische Mundart schätzt (und verstehst). Danke für die Mini Mondart, eine tolle Idee! Hey Anja, gerade mal Moselfränkisch gegoogled und thegermanz popped up. Schoener Artikel und gute Zusammenfassung. Heute sind wir dabei, Dialekt wieder schreiben zu lernen, und zwar auf Facebook – who’d thunk it? 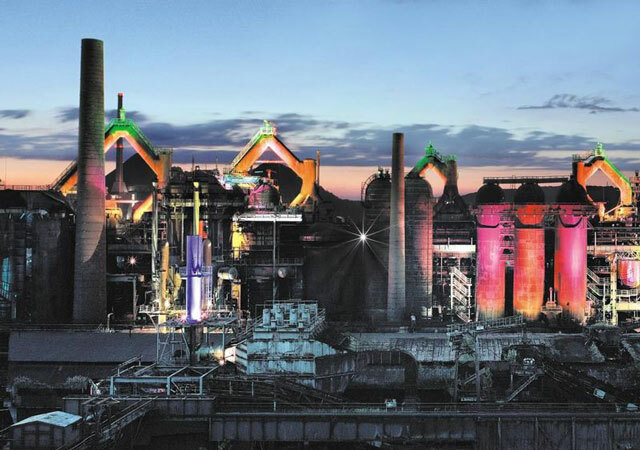 In unserer FB Gruppe “Historisches Koblenz” bekommt jeder extra Points, wenn er “off Kowellenzer” antworten kann. Ich habe 38 Jahre in den USA gewohnt, kann es aber noch ohne Zucken. Hochdeutsch natürlich auch. Man muß aber doch die Liebe für die Sprache und das Gehör mitbringen. Das können nicht so viele. Hey great article! I started to learn German a couple weeks ago and I was wondering.. are there dialects all over Germany or are there specific areas where only standard is spoken? I’ve been told that northern Germany lost their dialects so it called my attention how you mention they are still spoken. Thanks in advance!. Hi Matt, Yes, the dialects can be found all over Germany but more people seem to speak their dialect in the south these days. In the north of Germany around Düsseldorf and up towards Hamburg and further north, more standard German is spoken. Their dialect is still alive up there but not as much cultivated and spoken by as many people as it might be in the south of Germany. In the south it’s pretty normal to find someone who still speaks their dialect while in the north you might have to look a bit harder. Hope that helps 🙂 Danke für deinen Kommentar! The professor interviewed projects that the about 20 different German dialects will continue to disappear. It started with the advent of Radio, then TV and is accelerating with the influx of other languages and the increased dominance of “Hochdeutsch”. Oh, that would be really sad! I find dialects absolutely adorable, let’s hope they don’t disappear too quickly. Danke schön für deinen Kommentar! I left Germany (Burgdorf bei Hannover) in 1958 but I can still speak and write German quite well. My grandparents spoke Plattdeutsch and I understood them reasonably well. Here in Canada I still have German and Austrian friends and I have trouble understanding the Austrians when they speak their Austrian dialect. Once one of them insisted on using it because he wanted to practice it with me but, unfortunately, I had to ask him to switch to high German since I simply could not understand 70% of what he was saying. I also know some Swiss Canadians and when they speak in their Swiss German I can’t understand anything. Once, on a trip to Switzerland I saw a book in Swiss German and I began to read it. To my delight I understood a lot more of that and was able to relate many of the words to German words. Ich bin nun 60 Jahre in Kanada aber spreche immer noch Deutsch mit meinen Brüdern und Deutsch-Kanadische Freunde. Auch arbeite ich noch mit einer Deutschen Firma die ihre Produkte ins Ausland verkaufen und deswegen alle möglichen Broschüre, Anweisungen, und ihre Webseite ins Englische übersetzt haben müssen. Hallo Ulrich, so glad you still speak German after all those years! Yea, Swiss German, if you’re not used to it (like with any dialect), it can be a bit tough. I’m sure my Bavarian friends wouldn’t understand a thing if I spoke Saarländisch with them 🙂 Thank you so much for your comment, really enjoyed reading it! Love this article. Even for those who just want a laugh. In my case being born in Saarbigge un in Klarenthal gewohnt… just for those moments when some homesickness takes over. Hahaha, that’s pretty funny, the homesickness is what made me write this article. Grüße aus ehemals Merzig (jetzt Australien) 🙂 merci! Great Article! My family came from Jena and spoke with a Thuringian accent. When the wall came down some visited us in Lancaster, Pennsylvania. The Mennonites and Amish here speak a type of Palantine German. My relatives could not understand them. Have you ever been ‘Oben am jungen Rhein’ to Liechtenstein? I believe that even tiny Liechtenstein has at least three dialect varieties of German, excluding the official Hochdeutsch. So what does Herr Lafontaine usually speak? Very interesting article! Apologies for the slight digression, but your mention of holen vs. nehmen reminded me of when I read Mark Twain’s “The Adventures of Tom Sawyer.” Instead of making a distinction between “get” and “fetch”, Twain just uses “fetch” for everything. e.g. – “Go and fetch a pail of water”, “It’s late, I should go home before I fetch trouble”. It was disorienting at first, but eventually I figured out the pattern. That’s very interesting, thank you for pointing it out. Coming from the Saarland dialect I totally understand where Mark Twain was coming from, it’s just so much easier to just say ‘fetch’ for everything 🙂 Danke schön! At last! Someone who recognizes German “dialects” for what they really are: languages. Congrats! I am tired of the brain washing political notion of a “German language” -with some dialects deriving from it (fictional history). Hopefully you could one day share information about how Hoch Deutch comes from the so called dialects .. and not the other way around! Again. Congrats! Ah yea, I like the idea of writing something about that. Thank you for the inspriation and for pointing it out, I’m sure a lot of people don’t know how Hochdeutsch has come about 🙂 Danke schön! If you want some fun, add in the Pennsylvania German dialects and variants of the US and Canada. Excellent article! Although I was born in the United States, my German paternal family is from Schwaben. As such, the German I have been exposed to is the Swabian dialect since we have deep roots in the rural Ostalbkreis region, and as my family immigrated here before the large influx of other Germans into Wurttemberg have made Hochdeutsch the norm nowadays. Your article gives me an even-greater appreciation of the richness of my ancestral dialect. Danke Schon! Hi Sean, glad you like the article. I agree, knowing a dialect is almost like a gift that has been passed down from our generations of generations. I totally understand how proud you must feel, especially after being able to preserve it in the US. Thank you so much for your comment. Danke schön! Have visited family in Saarland for years. Just beginning to understand a bit of the dialect, very interesting. The first time I was in Germany, I attended a family reunion. Most of the family spoke/speaks a dialect from the Rheinland Pfalz, it was fun to listen to that dialect even though I couldn’t comprehend any of it. Of note, I was sitting with a cousin from Westerwald who remarked ‘what are they saying?’. Love the Saarland, a beautiful part of Germany. haha, love your little story! Saarländisch can indeed sound a little foreign when you don’t have developed an ear for it yet haha! Saarland is a beautiful part of Germany, I agree. Thank you for your comment 🙂 Danke schön! Greatly enjoyed your article. I read it from the viewpoint of an Ami who lived and worked in Germany in the Mannheim/Heidelberg and later in the Koblenz areas for nine years and began that period with very little German language ability. By the time I left Germany, I could speak the language well enough that Germans still recognized that I was a foreigner but could not identify me as an American. I certainly had my encounters with dialects like the first time the Schornsteinfeger paid us a visit. He came to the door when he was finished and said “siebemagatchi”. It took pencil and paper to clarify that he was asking me or sieben Mark achtzig. I am surprised that no one has mentioned the availability of German television, including many dialect programs on the internet. http://WWW.ARD.DE and http://WWW.ZDF.DE provide a wide range of current German TV programming. Live TV is generally prevented due to German laws but nearly every program is recorded and available for playback. Wirtshausmusikanten and Dahoam is Dahoam are a couple of examples of Bavarian dialect programs on the ARD. Both senders provide an alphabetical (A bis Z) listing of available programs under the heading “Mediathek”. News programs provide great examples of standard German (Tageshau (ARD) and Heute Journal (ZDF). There are many programs from regional stations. My wife and I are actually watching Küchenschlacht right now from Arkansas. My Alemannisch has extraordinary wrinkles: vocabulary left behind by the Romans who farmed and grew wine there for several centuries. kaie – “to fall” – is just one. I’ll leave you to guess the Latin root. Thank you so much for your comment. I actually googled Markgräflerland even though I’ve been to the Breisgau region so many times, a beautiful piece of land! I can confirm that the dialect spoken in this region is so different again, you really need to get used to it but I love it especially the intonation 🙂 Danke schön für den Kommentar! All the people talk the same. And yourn is what you name. Olla bleiwa so, gel net? ^^this^^ 😀 Thank you so much for your comment! I can’t believe we finally have someone commenting who actually speaks it! I’m amazed, thank you so much for commenting and enlightening all of us <3 Danke schön! The intonation of this sentence when spoken in Central Baden (Rastatt/Offenburg) is quite different from the intonation of this sentece in Northern Baden (Mannheim). My parents emigrated from Moenchengladbach and Eschweiler, both NRW towns in the 1930s. They thought it was important to hand down their dialect to me, a US born child. I didn’t speak English yet in kindergarten, but, children learn quickly. It was quite a complement to my deceased parents when a distant cousin called me “an echte NRW Westphalerin”, a native speaker of my parents dialect on a recent trip to Germany. Hello Anja.Thank you for writing this informative article.I liked it very much.May i ask you a question about Saarland?The city is called Saarbrücke.Had ıt named because of a bridge on Saar?I heard that brücke means bridge in Standard German.Thank you for sparing time for this marvellous article. Hi Emre, you’re right, there are several bridges across the Saar, in fact you’ll find about 4 or 5 very close to each other. They are so significant that locals will use them to describe where a particular place is located: “It’s just off the “Westspange” (one of the first bridges coming from the north) and then right…” Glad you liked the article and thank you so much for commenting 🙂 Danke schön! since we’ve recently discussed variations of English and English as a world language in my English class, we found your blog while doing some research. Here are my students’ comments on your blog. we talked about dialects and variations of English at school and we think that your page is really interesting. 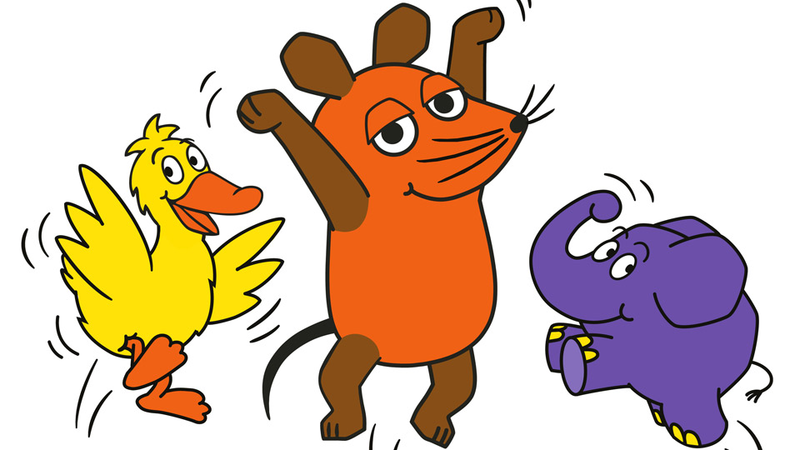 You gave some funny examples and videos on the Saarland dialect, which we grew up with and speak. Since there are so few of us, we appreciate that you teach other people about our tradition and language. We often do not realize how many things are typical for our region only, e.g. words like schnäkes which means candy. Keep going with your blog, our beautiful little home deserves more attention! Your website shows that being German does not always mean understanding every German word. We’re currently discussing dialects in our English class and that’s how we found your website. When in need of a pen ask for a Dauerschreiver instead of a Kugelschreiber, and if you have problem, tell the people you have Huddel (even better, for advanced learners, isch han Huddel). In addition to this, there is a big French influence which can also be explained by the history of our small state. Because of this, we also use more words of French origin than any other Germans. You cleary can see the French influence of a Saarländer by hearing him say that he has cold instead of saying it the correct German way (he is cold). To conclude, Saarländisch is a very lovely dialect. Your website shows that being German does not always mean understanding every German word. The map of Germany showing which dialect is spoken in which region is very well done. We come from Saarland and we did not know exactly where which dialect is spoken. We’re currently discussing dialects in our English class and that’s how we found your website. We’re also “Saarländer” and we can totally relate to what you’re saying on your website and we think it’s a great representation of what life and more importantly the dialect in Saarland is like. We grew up mostly talking standard German so we learned “saarländisch” while growing up and for us it’s always funny to see that there are still some words we don’t know. Even funnier to us is that most “Saarländer” don’t even realize that they are not talking standard German, for example when they’re cold. in our English class we talked about dialects and read parts of your blog. We enjoyed reading through your web entry. We especially liked the pictures and the sound files. More over we are from Saarland, so we could relate to the facts you mentioned in the text. We also think that saarländisch is a very special dialect which is hard to understand for people who are not from Saarland. The other dialects you mentioned in the text sounded kind of funny to us, because we are not used to them. But all in all, your article provided a great overview about the German dialects.